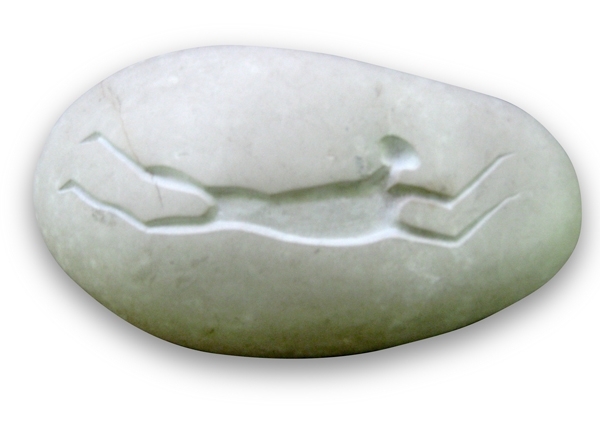 When I was researching the post on The Cave of Swimmers I came across a picture of this sculpture that uses the representation of a swimmer taken from the neolithic paintings in the cave at Wadi Sura in Egypt. I love this piece. Here is a link to the work of the sculptor, Matt Caines, who made it. This entry was posted in swimming art. Bookmark the permalink.